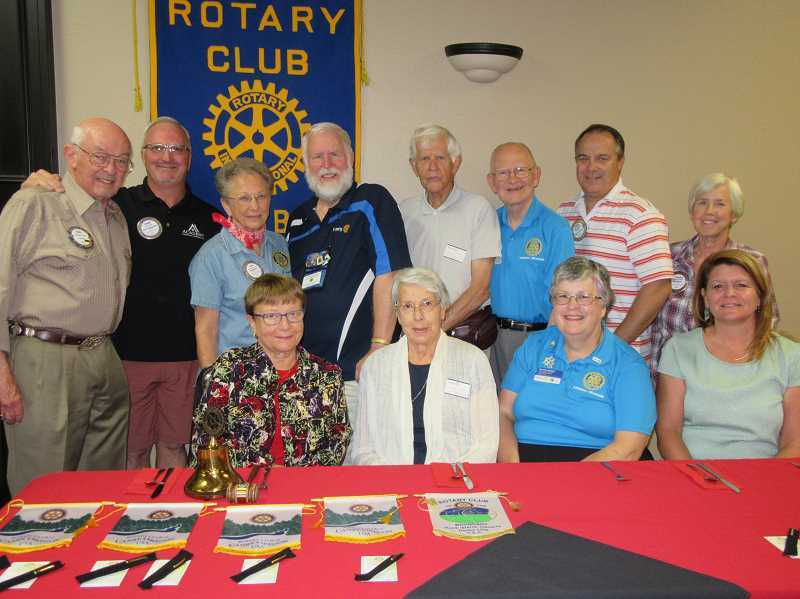 In August, through Rotary Friendship Exchange, Rotarians from The Rotary Club of Canby hosted Rotarians visiting from Vermont, New Hampshire and Quebec, Canada. Canby hosts were Kathleen Jordan, Derek Hill, Chris and Susie Stutes, Judi and Bert Aus. While in the Canby area the guests visited local attractions such as the Clackamas County Fair and Rodeo, Swan Island Dahlias and hop farm. The Rotary Friendship Exchange gives members a chance to tour other parts of the county, see the sights and learn about the projects other clubs are doing. In September, as part of the exchange, a group of Rotarians from the Portland area, District 5100, will travel to the New Hampshire/Vermont area and be hosted by Rotarians in that area.